Race ready glove with everything that you need and nothing you don't. Lightweight, breathable and comfortable, the Glotech cycling glove perfectly adapts to any situation whether you are racing, training or on that long epic adventure atop two wheels. 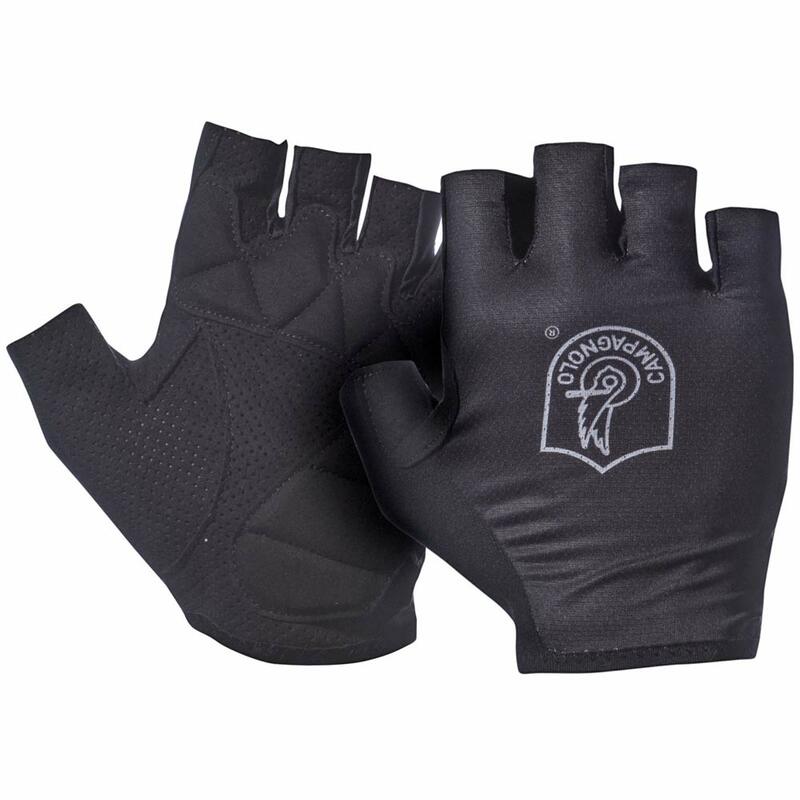 The Campagnolo Glotech cycling glove incorporates all of the essential ingredients for a fantastic glove and eliminates anything that doesn't help you towards improving the cycling experience. Gone is the Velcro closure as it adds weight, complexity and renders the unit less comfortable. Its highly studied form fits the hand perfectly and the elastic Lycra wrist closure and anatomic fit make sure that the Glotech glove remains safely in place. The shorter cut is perfect for those who prefer a more minimalist look and feel. 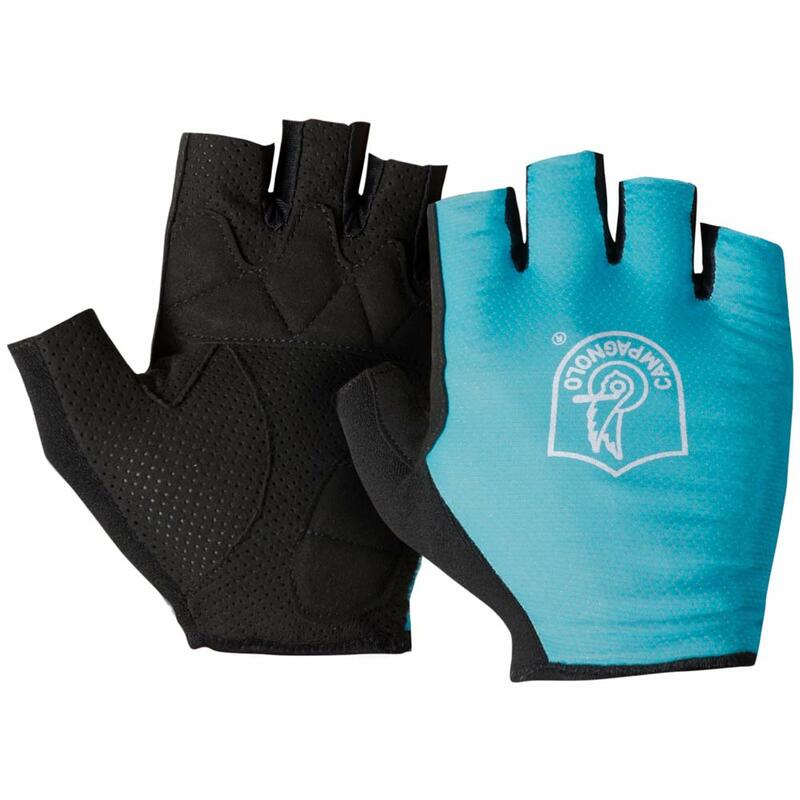 The breathable Lycra upper matches with the perforation of the padded suede palm to guarantee optimum air flow and dryer hands.